Now more than ever there is more than enough keychain flashlight brands in the market. 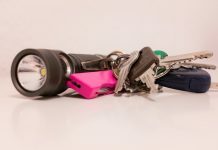 When choosing the best keychain flashlight, it is critical that you take into consideration the usage and purchase a flashlight that will meet your needs. 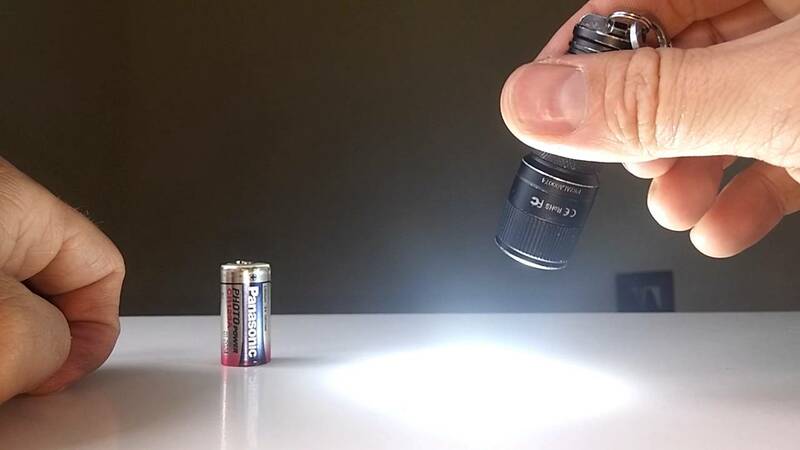 A good flashlight should be especially compact, strong, bright enough to enable you to see clearly without straining your eyes upon the view, small enough to enable you to insert into your pocket without difficulties. The problem with having a variety of flashlights is that you might have a challenge in choosing the ideal and one that best suits your needs. Most of the flashlights fail to function after a specific time and can easily get damaged. 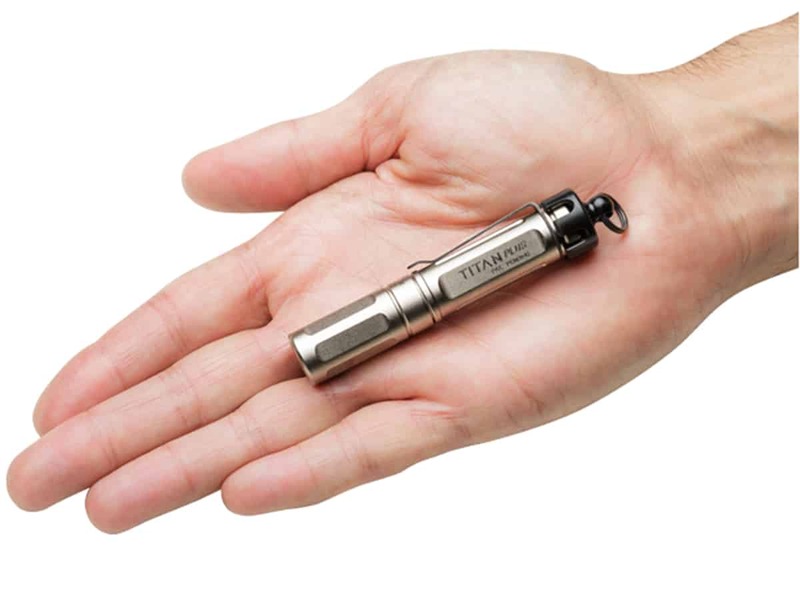 The surefire Titans Plus is a refined, ultra-compact world’s first professional-grade keychain flashlight. With its small size of 3.375 inches and weight 51.08 grams, it has more than enough to offer. It is constructed with a durable nickel-plated brass that resists scratching and corrosion. It is virtually indestructible, high performance LED that generates different light levels of 15 lumens on the low level, 75 lumens as its medium level setting and 300 lumens as the maximum light level setting. All these levels are activated and set by simply twisting counterclockwise repeatedly on and turn off. With any light level output selected, a proprietary faceted reflector shapes the LED’s light creating a broad, smooth MaxVision beam that matches your field of view allowing you to see clearly and maintain a good situational awareness. The Surefire Titans plus uses a single AAA alkaline battery which is easily available, in addition to this merit it can also use a rechargeable NiMH battery to output a maximum of 300 lumens and a runtime of about 7 hours in low mode of 15 lumens, 2 hours in medium 75 lumens, and 1 hour in high 300 lumens. The Surefire includes an advanced Panasonic Eneloop pro which is currently the most advanced NiMH AAA with a capacity of 950mAh (900mAh minimum) and can be recharged up to 500times. The battery charger with independent channels can always be bought separately. This keychain light has a removable pocket clip that provides a secure carrying option, it also includes a stainless steel split ring for your keys which comes in handy especially with the ability to detach it from the keys just by pulling it. 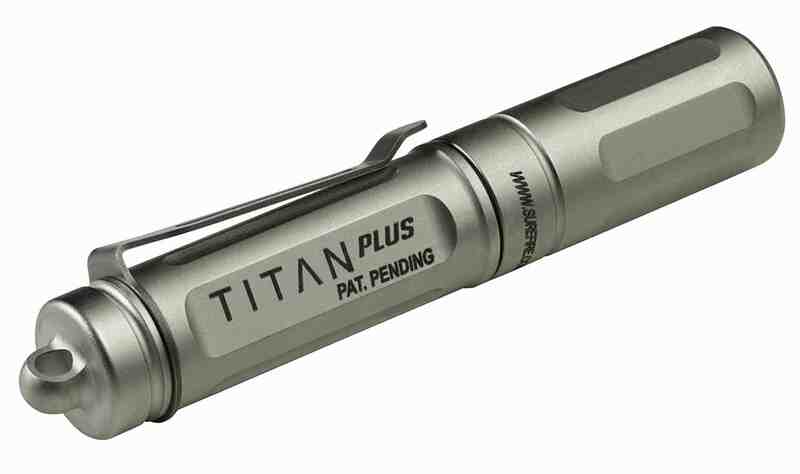 This sheer versatility, portability, lightweight and overall functionality of the Surefire Titan Plus makes it a serious punch and a must have. 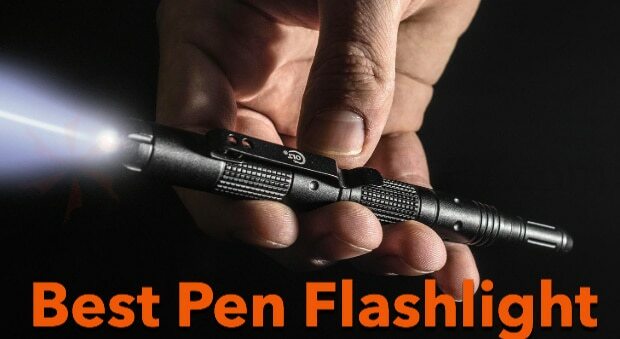 The new Nitecore Tip is an excellent portable and rechargeable keychain flashlight that comes with a thumb-sized body of 2.39” x 0.96” x 0.54” and weighs a little lighter than the AAA battery of about 0.83oz. The user interface is surprisingly unique, light, compact and extremely powerful. It is made of robust Aluminum Alloy with HAIII military grade hard-anodized material and it’s available in a variety of color options. This keychain flashlight is guaranteed to replace your current flashlight with its irresistible capability. 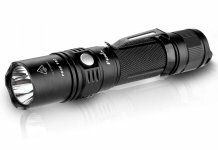 It produces up to 360 lumens with four brightness levels and a maximum beam distance of 18 yards. Its built-in 500mAh Li-on battery provides power up to 90 minutes at 150 lumens and over 46 hours on lower mode. The battery can also be recharged through a USB Charging port with a red indicator light which makes it easily accessible to charge. The Nitecore Tip has a large double metal bar on its back that allows a key ring to be comfortably attached. On one side of the flashlight, you will find a micro USB port without the port cover which has been the subject of discussion in cohort forums. The mode button for cycling through settings and the ON/OFF buttons are on the front panel of the keychain flashlight beside that, the integrated power indicator notifies if charging process is in place and also indicates battery power level. One special feature of the Nitecore Tip is the removable clip which offers more ways to carry and position the tip while working as a switch cover to prevent any accidents. The clip can be easily attached to your standard duty belt, hat or pocket which makes it convenient. The Thrunite Ti3 is a well-established solid and compact flashlight made with aircraft grade aluminum with premium type 3 hard-anodized anti-abrasive finish with Cree XP-G2 R5 LED which has a lifespan of 20+years of run time. 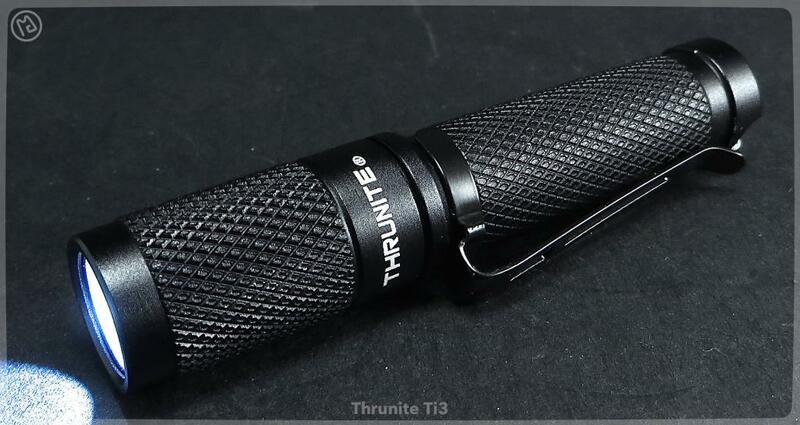 The Thrunite Ti3 is the most recent edition to Thrunite series of 1xAAA keychain flashlight. It has a compact/full-size design size of 70mm (length) x 14mm (head diameter) and light weight of 0.4 oz. / 12 grams without battery. This adds up to a maximum output of 120 lumens and a maximum beam distance of 50 meters. The memory function retains the last mode you used in a short period of (2 – 10 seconds) after the time elapses and the flashlight returns to the firefly mode. It is highly waterproof with a standard of IPX-8 standard. 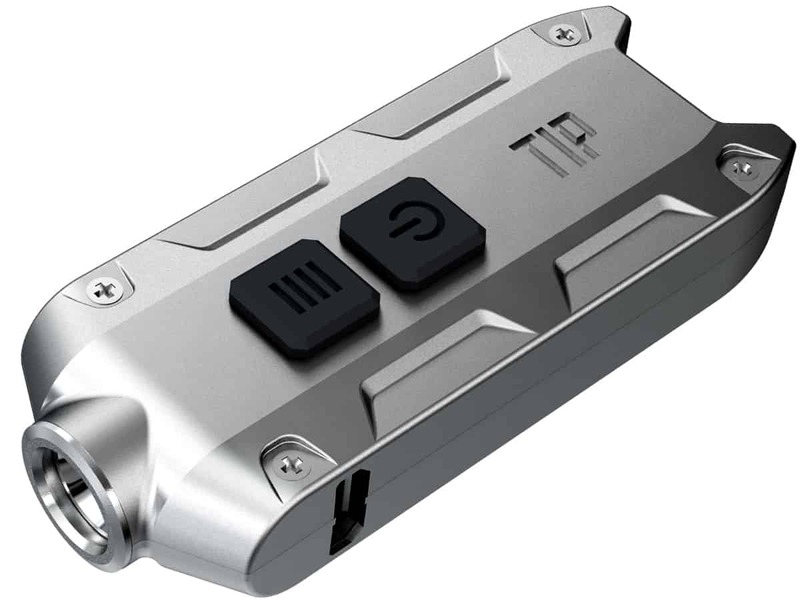 This one-handed operated Thrunite Ti3 is designed with a twist switch that enables straightforward and convenient shifting between output modes. You get to turn the keychain flashlight on and off by easily twisting the head (tighten and loosen). The tail of the Thrunite Ti3 is flat with a point for attaching a keychain or lanyard. It is also equipped with a reversible clip that allows belt loop attachment or can be fastened onto a ball cap. Tool AA is a version of the Tool AAA but an advanced and impressive keychain flashlight. It is made of aircraft-grade aluminum alloy with anti-scratching type HAIII military grade hard-anodized finish to ensure durability. 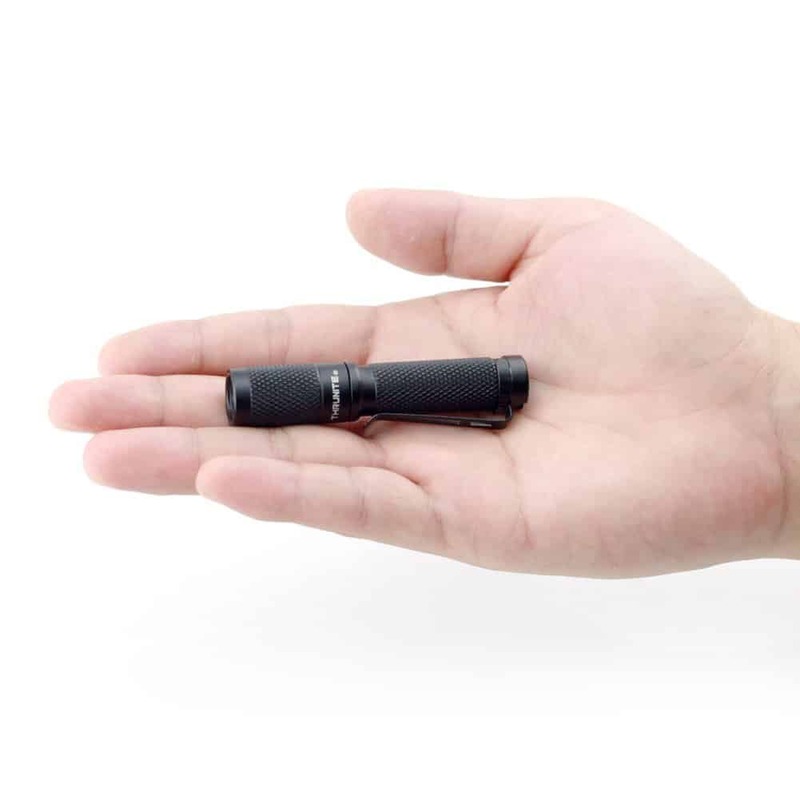 It is a portable mini size AA keychain flashlight incredibly handy; portable, lightweight, with an anti-slip design making it hard to slip even on any surface. It uses a 1*AA alkaline battery to produce a maximum of 110 lumens and also compatible with a 14500 rechargeable Li-on battery to output a maximum of 550 lumens with a lifespan of 50,000 hours. This keychain flashlight is unique as it can maintain a stable high brightens even when the battery level is low. It also entails three modes of various lighting demands with its 3 settings (Low-medium-High), unlike some keychain flashlights it does not have a memory function. One main factor about the Tool AA is its impact resistant and amazing waterproof capability of grade IPZ-8, it has a high-rank review as a suitable choice for any weather be it in heavy rains, snow or emergency situations. It comes with two tail options, the tail switch and a magnetic tail with magnetic suctions on metallic surfaces that allows it to be used in different positions lightings. The two positional clip on its body offers various usage functionalities, such as it can be clipped on the pocket or the cap to enable efficiency while working. 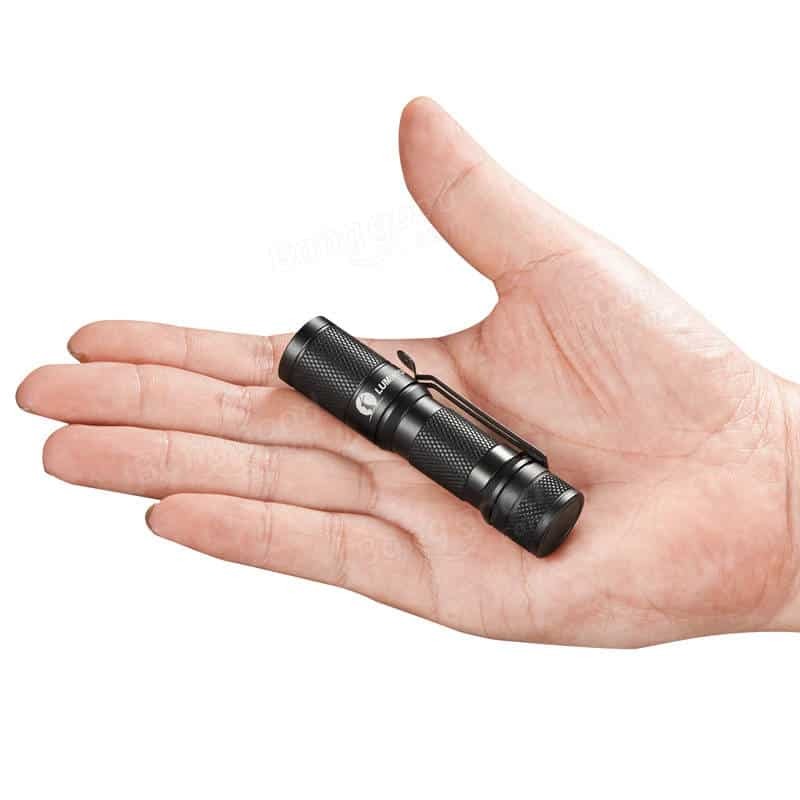 This particular keychain flashlight is a must-have for your everyday carry, it is also essential for hiking, touring, camping, construction home usage, security, and emergency lightings. 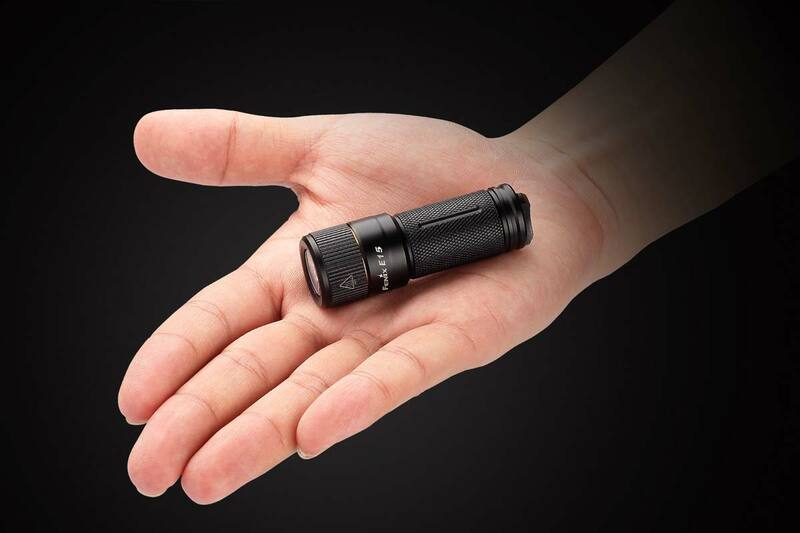 The Fenix E15 looks just like an ordinary keychain-sized flashlight. It is an ultra-bright sub-compact led flashlight made of a durable aircraft-grade aluminum with a premium type III hard anodized anti-abrasive finish. This enables over-heat protection to avoid high temperatures of the surface. With only 2.5 inches (64.8mm) in length, body diameter of 0.7inches (19mm) and a weight of 1 oz. (23-gram) excluding battery, the Fenix E15 has a maximum output of 450 lumens on a 16340 rechargeable Li-ion battery. 16340 Battery: 450 Lumens – 55 min. CR123A Battery: 270 Lumens – 1 hr. 35 min. 16340 Battery: 110 Lumens – 3 hr. 15 min. CR123A Battery: 110 Lumens – 5 hrs. 5 min. 16340 Battery: 50 Lumens – 9 hrs. 25 min. CR123A Battery: 50 Lumens – 12 hr. 30 min. 16340 Battery: 8 Lumens – 40 hrs. CR123A Battery: 8 Lumens – 72 hrs. You can cycle through the modes by twisting the head with a one-handed operation to activate a suitable level, the twist can as well turn the flashlight ON/OFF and in addition, it has an intelligent drive circuit for better performance and a low voltage reminder that indicates when battery replacement is a need. Another merit of the Fenix E15 is the ability to tail stand securely on a flat surface to serve as a candle. There have been great changes in the keychain flashlight over the last 20 years. The big heavy flashlights which were once trending from days past have been replaced by lights that are brighter and more compact thanks to the arrival of LEDs. 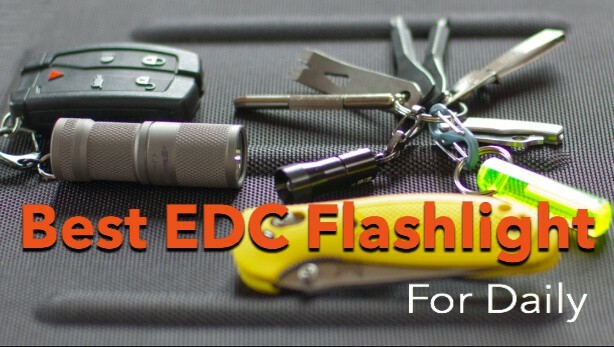 Flashlights which were once seen as a tool for camping and hiking or an item to have around the house in case the lights went out, has now become an “EDC” which stands for “Every Day Carry”. And just why would you need a keychain flashlight? This among other benefits makes a keychain flashlight very handy and everyday carry. 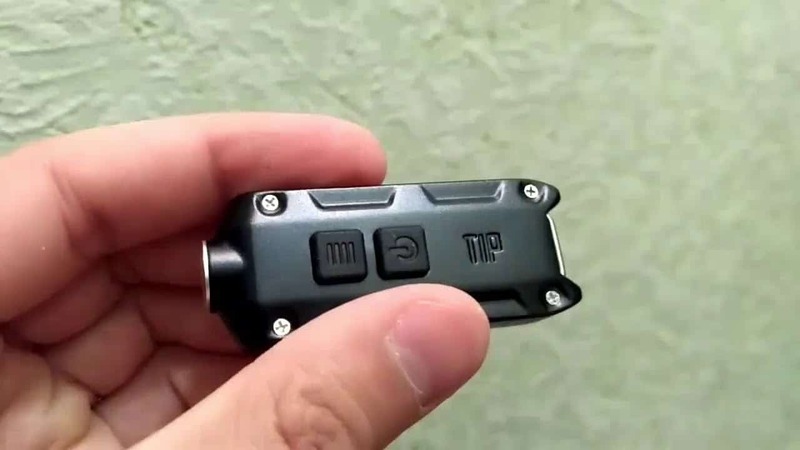 After you have made a decision to include a keychain flashlight to one of your everyday carry, you might still have a challenge in deciding on what will best suit your requirement. This guide will go through some look for when choosing the right keychain flashlight. A good modern flashlight is made of plastic or aluminum alloy, the plastics might range from the low-cost polystyrene and polythene to more complex mixtures of ABS or glass-reinforced epoxies. The body of the flashlight should be made of a durable, resilient and reliable material like titanium alloy and solid brass alloy with high heat conductivity and low electrical resistivity also it should have an anti-scratch titanium gold coating or HAIII military grade hard- anodized aluminum. If a flashlight is made from such durable materials it can withstand hard knocks or survive after falling. It is crucial to choose the brightest flashlight as this has never been more apparent. Having a brighter light at your disposal in critical situations will give you more information and options. The light is measured in lumens, this is the intensity of light coming out of a flashlight, and greater light output means more lumens. 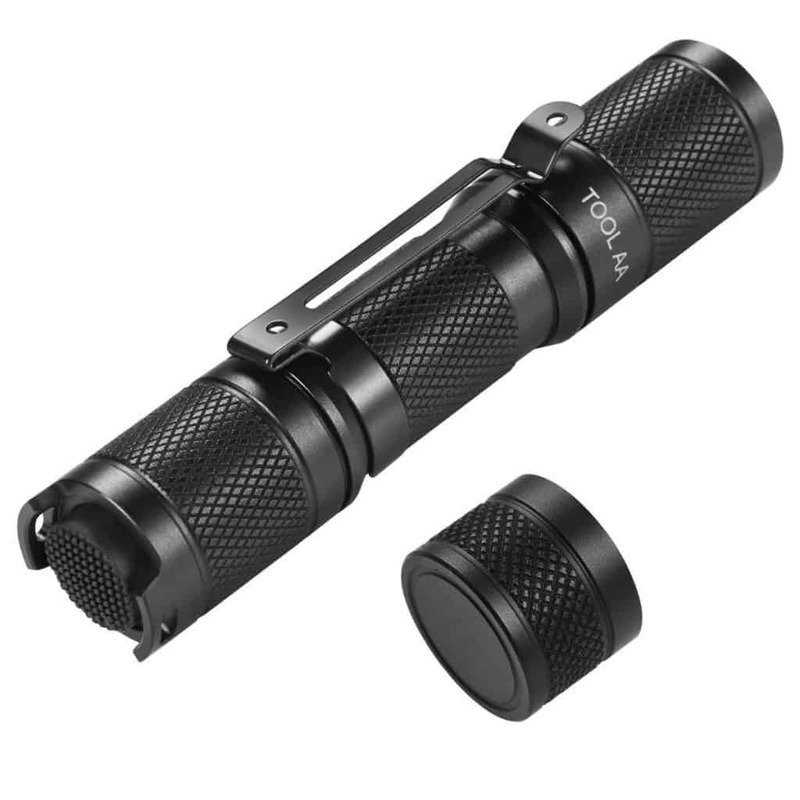 A good keychain flashlight should have a medium of 75 lumens to 150 lumens maximum or more. 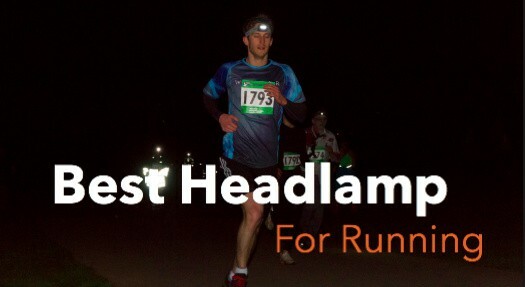 75 lumens produces a versatile amount of light with good illumination and runtime. Brighter outputs of 150 lumens are mostly used in special cases for example in camping, search or rescue missions. Other factors that influences the effectiveness of the keychain flashlight are beam intensity and distance, the brightness settings functionality should enable brightness adjustments levels where appropriate. A keychain flashlight comes in handy in our daily life, it is a valuable multipurpose tool with many benefits. 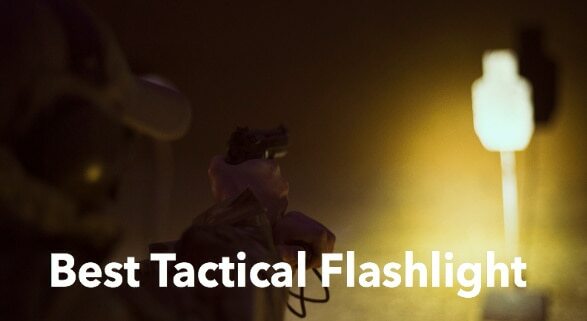 The tactical flashlight, unlike its predecessors, is recommended as an Everyday carry (EDC). Taking into considering the usage of the keychain flashlight, you are able to make the right decision. A small size, strong, waterproof aluminum made with substantial brightness and a rechargeable battery might be an ideal flashlight as your everyday carry. You need a keychain flashlight which can light up a large area thus giving you a wider field of vision. Some keychain flashlights allow you to adjust the relative position of the lamp and reflector giving a variable-focus effect from a wide floodlight to a narrow beam. The lens and the internal reflector are an important part of the flashlight. The intensity of the light may significantly differ between the center and the outer beam of the light if they are not optimized. The best flashlight will have the light spread evenly across an area. A smaller and insubstantial flashlight will all the functionality is what you may need especially as an everyday carry. The flimsy flashlight can be fitted into your pocket, purse or any other place you want to fix it. This can be carried around comfortably without any interference. This is the ability to withstand any weather condition, especially in heavy rain downpour. While most flashlight can’t stand when submerged in water, they should be able to withstand being exposed to heavy rains. The lack of sealing gasket protecting the LEDs is what makes the water penetrate and cause damages. Despite the manufacturers’ waster proof assurance, ensure flashlight has the vital gasket. The keychain flashlight should be strong and durable with waterproof ratings of IPX8 and a drop resistance of up to 1.5M. The flashlight that is built with strong materials is the best. Some manufacturers use substandard materials to reduce their costs and transfer the consequences to consumers. Cheap materials will only lead to frustrations and additional repair costs. You can avoid this by buying from qualifies manufacturers who use industry standardized materials like aluminum, titanium alloy, and copper. The clip integrated on the keychain flashlight makes it easy to carry around especially if the clip is sturdy and of good quality. What makes it even more interesting is that you can attach the clip to your belt, backpack, lanyard, or clip it to your hat to make it even more convenience especially in emergency situations. When considering the level of brightness and quality of a keychain flashlight. It is important to look at the battery life as well. The ideal battery is one that will give you the longest runtime, this is the time it takes for the battery to be exhausted. 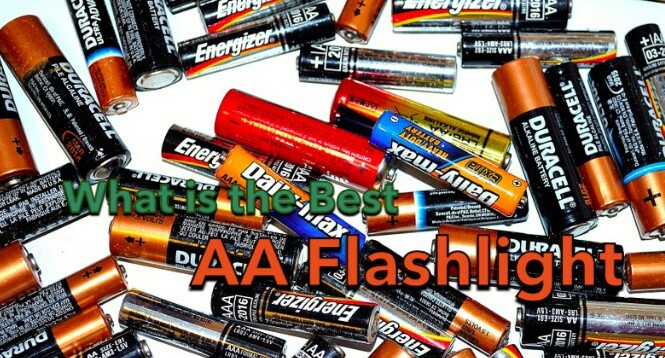 Some keychain flashlights are sold with disposable AAA batteries or button cell batteries. An alkaline battery guarantees up to 8 hours of usage, this is usually ideal for everyday carry while other keychain flashlights have strong NiMH or Lithium batteries that can be recharged through an inbuilt USB port. Such batteries usually provide a run time of 90 minutes when on high mode usage and over 45 hours on lower mode.